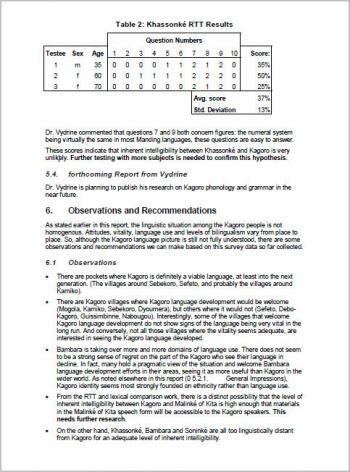 For this survey, an important question is how “close” Kagoro is to other Mandé languages. More specifically, is it possible for Kagoro speakers to use literature written in closely related languages. If so, there may be no need, from a purely linguistic point of view, to develop materials in Kagoro. The languages in question are Bambara, Khassonké and Malinké of Kita.